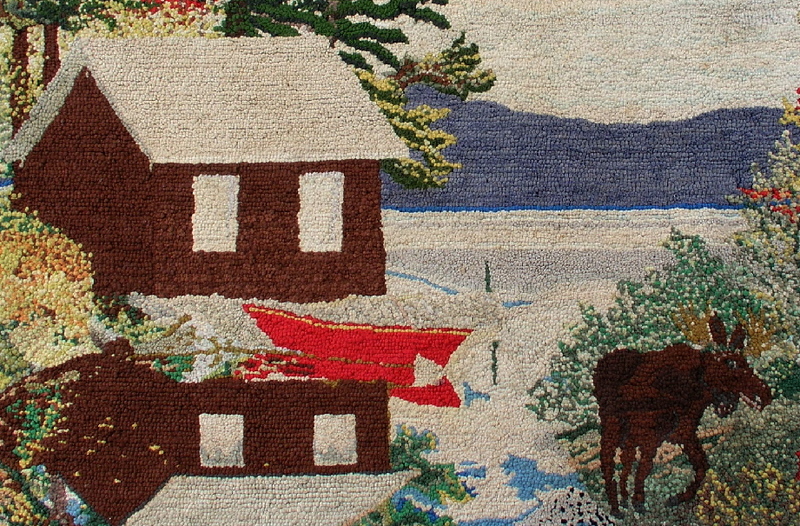 Collectivator :: Large, well-made Quebec hooked rug with cabin and moose. 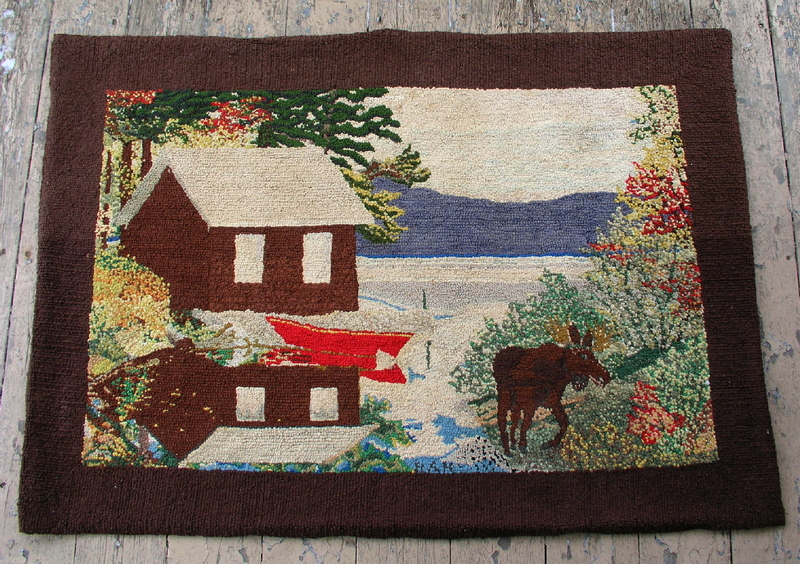 This is a very well made, quite large (34" x 50"), hand hooked rug from Quebec with a great original design. I particularly like the effectiveness of the reflection of the cabin the water. Mid 20th, possibly from the forties. In excellent condition. No repairs or fading. 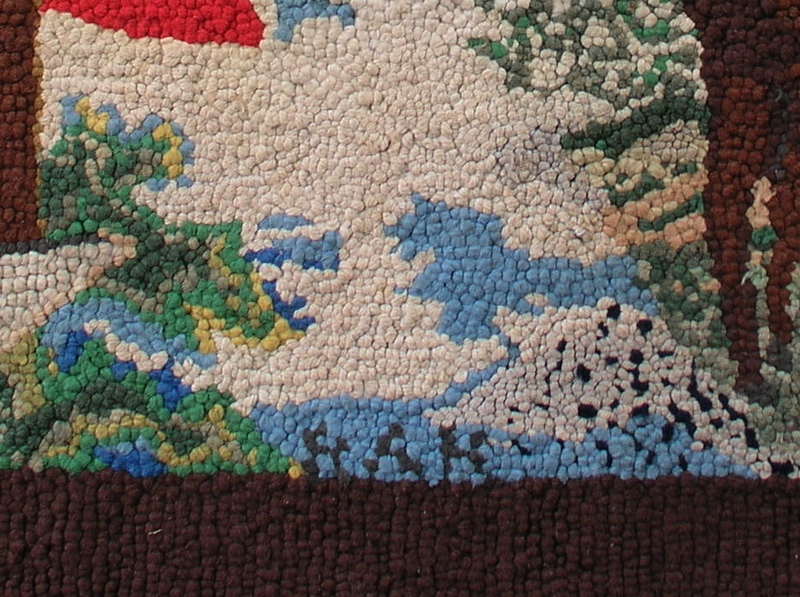 It is initialed in the middle, near the bottom. See attached pic#4. It appears to read "H A K", but your guess is as good as mine.